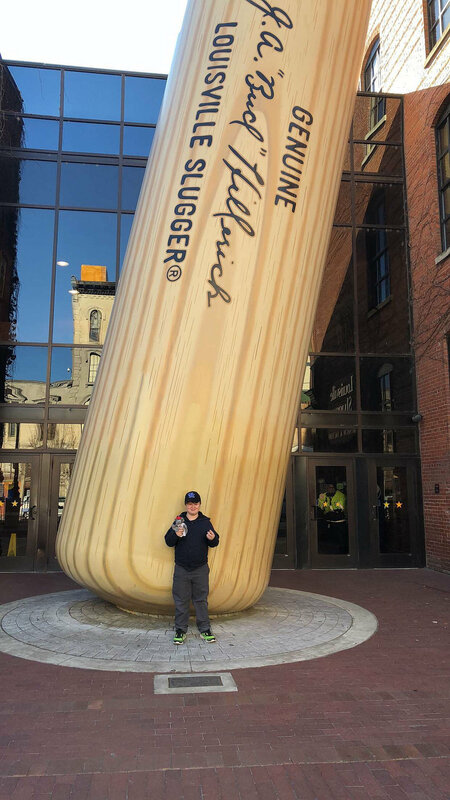 Louisville Slugger Museum & Factory-Louisville, KY: Brian and I started the new year off on a good note, visiting the Louisville Slugger Museum and Factory to check out some LEGO action. 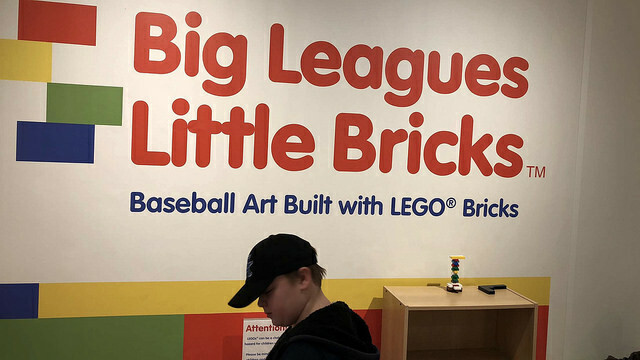 The Big Leagues Little Bricks exhibit has been at the museum for the last year, but this is the first chance we’ve had to check it out. 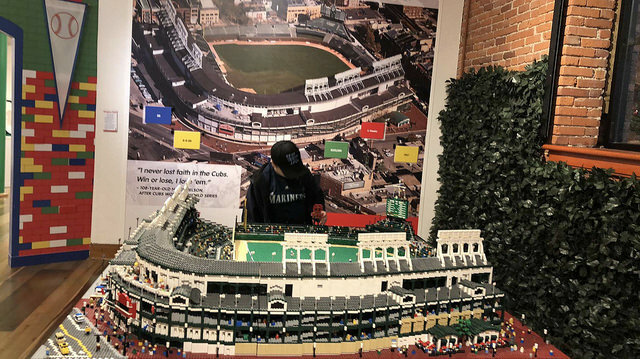 The summer was busy with all sorts or games and activities, and now with Christmas and New Years winding down, it seemed like the perfect time. 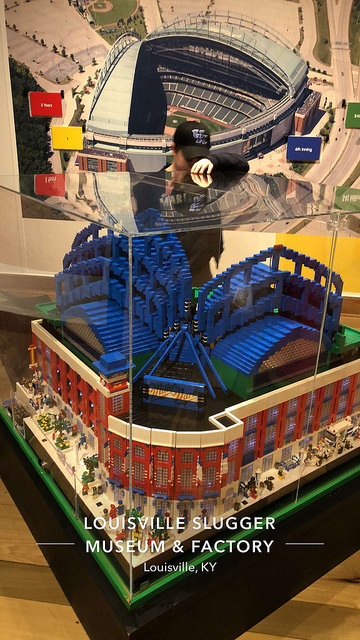 The first thing on Brian’s agenda was definitely seeing the LEGOS. 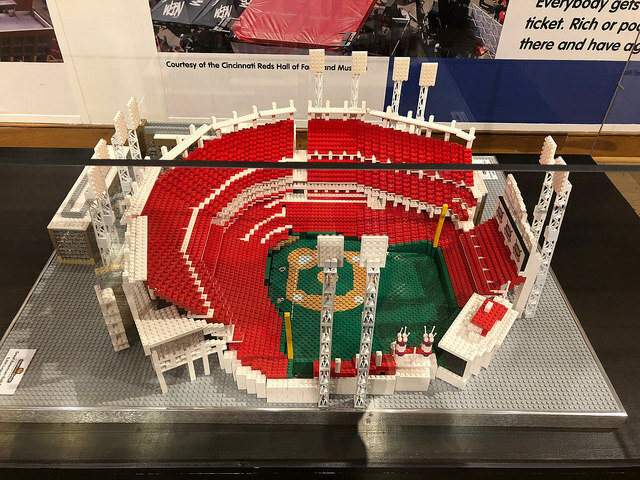 They had full ballparks such as Wrigley Field, Miller Park, and the Great American Ballpark up in Cincinnati on display, as well as some portraits of some players. Brian was even able to play and make some creations of his own. 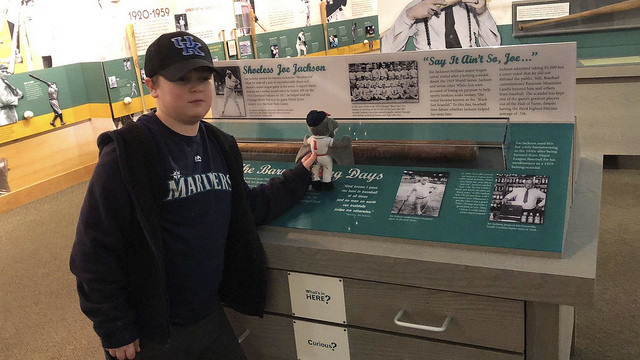 After the factory tour (where photos are not allowed), we hung out in the other museum area to see all that was on display there. 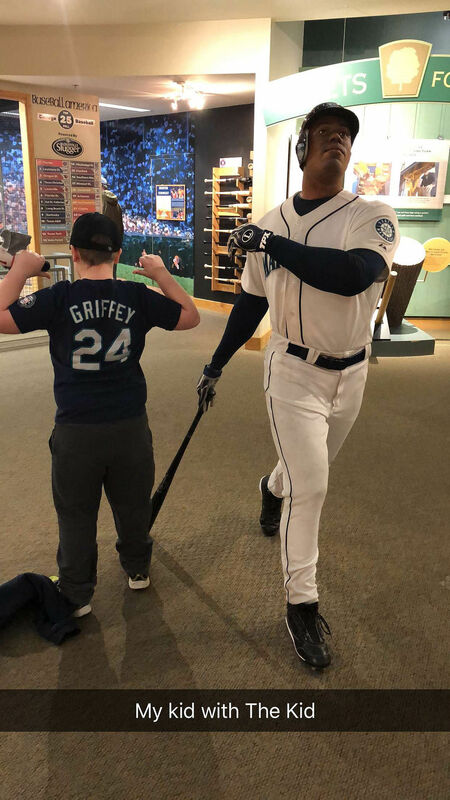 Since Ken Griffey Jr. is Brian’s favorite player, he wanted to hold his bat and take a few swings. 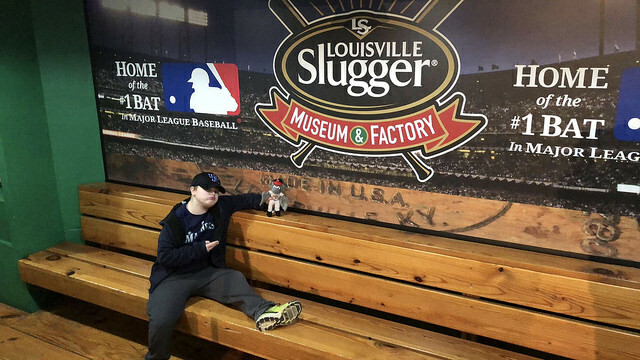 The museum also had a life-size statue of ‘The Kid’ he got his photo with. 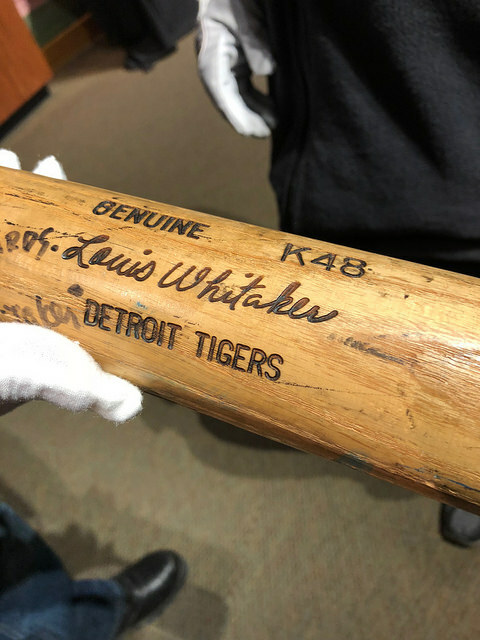 I was happy to hold Lou Whitaker’s bat, since he was one of my heroes growing up when he played for the Detroit Tigers. This was a fun day for Brian and I to spend together. 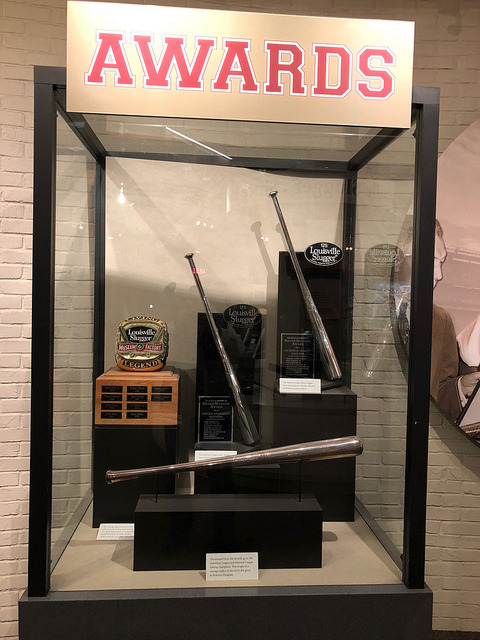 I love seeing all of the other bat exhibits and seeing pieces of history. 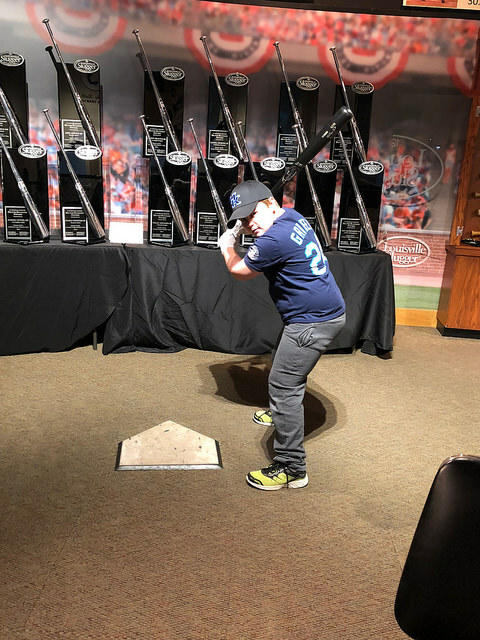 I really can’t recommend this enough for any baseball fan, and the off-season is a perfect time to check it out and get ready for spring.